I am always happy to be able to combine two of my hobbies -- in this case, cryptozoology and stamp collecting. You may click on the thumbnail images of each stamp to see a larger image. I have also provided the Scott catalog number for each stamp if I know it. These pages feature stamps of animals which once were or are still considered legendary, but which may actually exist. 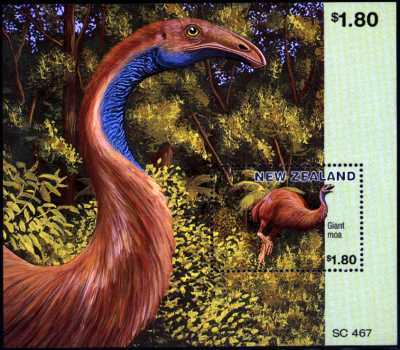 Stamps of animals thought to be extinct but which have been found alive are also featured. Other stamps depict supposedly extinct animals for which sightings comtinue to occur. All of these animals are called "cryptids." Cryptozoology is the study of cryptids. You can find more about cryptozoology on my main cryptozoology page. My page of books about cryptozoology lists some I've found interesting. For more information about stamp collecting please see my hobbies page. My Cryptozoology and Philately pages were awarded the distinction of being named a Classic Site by Michael Mills at his Glassine Surfer site. These pages were also selected as a Stamp Site of the Week.